I have lived less than 30 minutes from the Bay of Fundy for most of my life. I didn’t really realize the awesomeness of it until I moved to Ontario and lived there a few years with my wife while attending College. 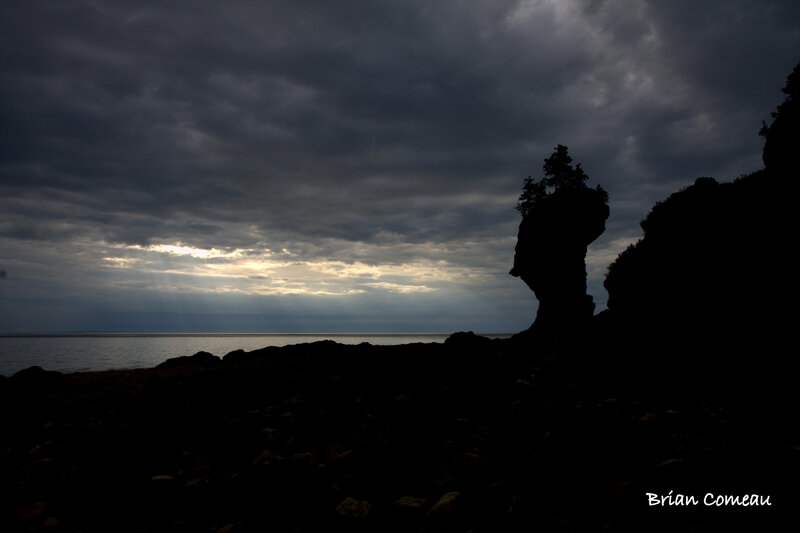 It was this time away that really made me appreciate East Coast living and the spectacular Bay of Fundy. The Bay is famous for its tides, and was recently a finalist for the New 7 Wonders of the World, but for me there is so much more to the Bay. One of the most compelling reasons to investigate the shores of the Bay is the light and the changes in the weather that can take place minute to minute. As I travel around the Bay, I find it so amazing that the same body of water and coastline can have so many different characteristics in its beaches and its types of rocks that line its shores. In one spot you find bright red sandstone and then in another is rugged glacier rock. I am fortunate to live where I do in an area around the Bay because I can enjoy the sunrise every morning from my window but I can also drive 30 to 60 minutes in either direction to see a sunset. The one thing I can consistently count on is there will, no doubt, be an opportunity for a spectacular sunrise, dramatic fog and if I’m lucky I’ll be behind the camera when the God-Beams appear. It’s these God-Beams that are becoming one of my favorite scenes to photograph. 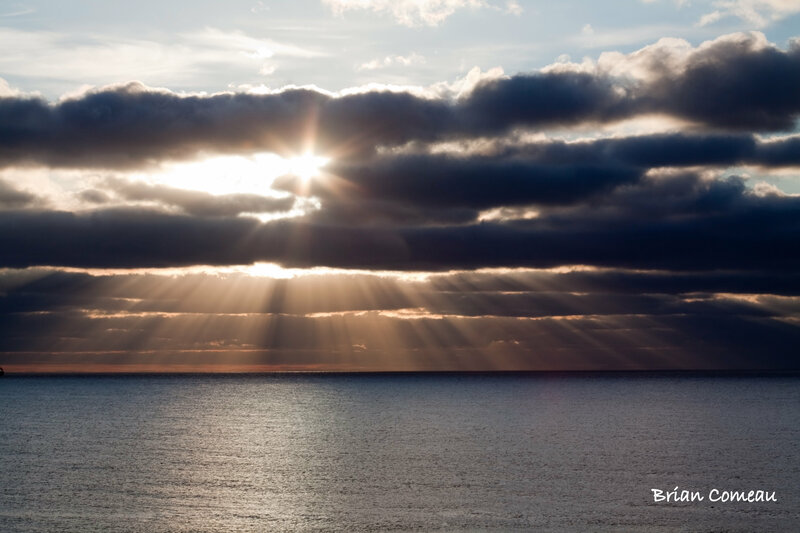 God-Beams, which are technically called Crepuscular rays, occur when the sun’s rays shine through gaps in the clouds. Crepuscular is a Latin word which means twilight which is usually the most common time to see an occurrence of God-Beams. Unlike other subjects, planning to capture an image of God-Beams is a bit of a challenge because it’s difficult to predict the when the gaps in the clouds will appear and at the same time the sun needs to be at the proper angle to shine through. I’ll admit it; I tend to get a little giddy when I happen to stumble across a scene of God-Beams. The opportunities seem so rare or at least rare that I’m prepared… It is also a tremendous visual reminder for me of the wonder and creativity of our Creator. I usually like to think that I am the one that creates an image but when I return home from a day of shooting and while I’m editing my images I’m reminded that all I’m doing is stealing God’s ideas. He is the true artist. After all, photography means “to write or paint with light”, and that is what He does.